This Citizen Ecodrive Ladies Watch is a quality, self-powering or “Eco-Driven” watch, drawing energy from natural sunlight or even lamp light. What is cool about this watch is that it needs no battery to run it. The Case and the bracelet of this watch are constructed of Stainless steel. Citizen is a Japanese watch company. All Citizen Ecodrive Watches are made in Japan. This watch is designed for regular use since it has a simple but smart look. The working caliber of the watch is E011. This Citizenwatch is very unique in its own way. It is quite delicate and is good match for a fair skinned. So undoubtedly you can choose this watch. 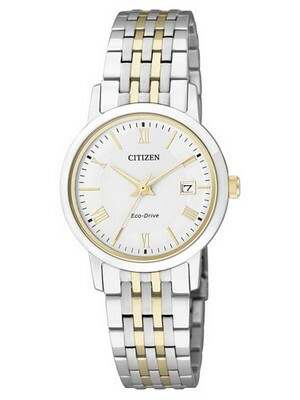 The Citizen EW1584-59A ladies Ecodrive Watch is a perfect timepiece with an elegancy. This classic piece has a sweet and simple White dial. And this dial is enclosed in scratch-resistant Sapphire Crystal glass. The Ecodrive feature is the unique and very useful. This watch uses the simplest, yet the most technologically advanced power generating and storage system in the watch with the help of Eco-Drive function. The face of this watch provides a traditional Analog Display. Other nice thing is that this watch is having the function of Overcharge Prevention. And this watch is a waterproof. The size of the case is 30mm with crown. This Eco-Drive watch is the perfect thing for this green power-hungry society of today. 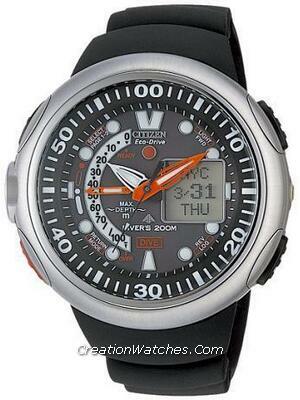 If you are looking for a luxury watch online, just have a look on this citizen ladies watch. It will definitely catch your attraction. This watch is available for US $124.00 with us. 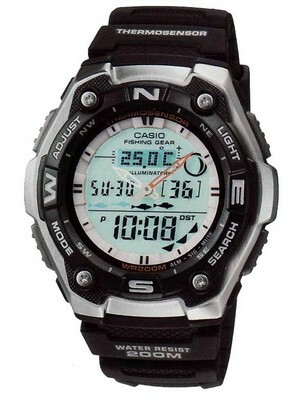 A Review of Citizen Diver Depth Meter Promaster Cyber Aqualand World Timer JV0000-01E JV0000. What will you wear – II ? Previous post Newsletter: New Hand-Winding Automatic Seiko watches!